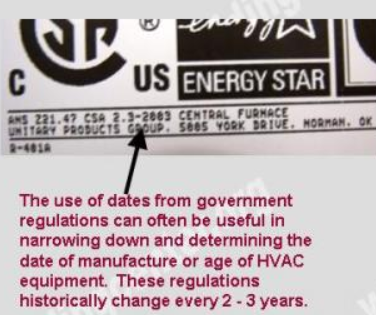 How to determine the date of production/manufacture or age of Peerless®, Pinnacle®, & Purefire® HVAC Systems. 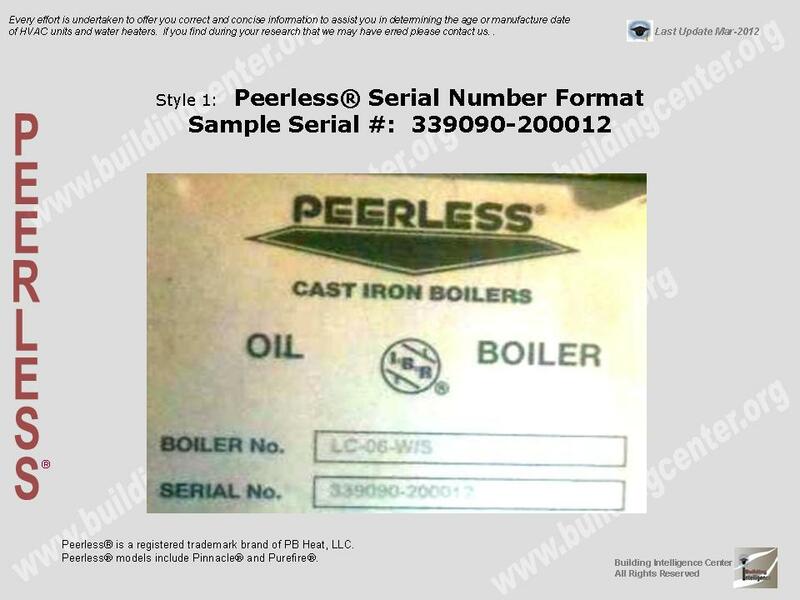 The date of production/manufacture or age of Peerless®, Pinnacle®, & Purefire® HVAC equipment can be determined from the serial number located on the data plate. Style 3: 123456 (Note: Must contact Peerless to determine the age. These units were made prior to 1984). 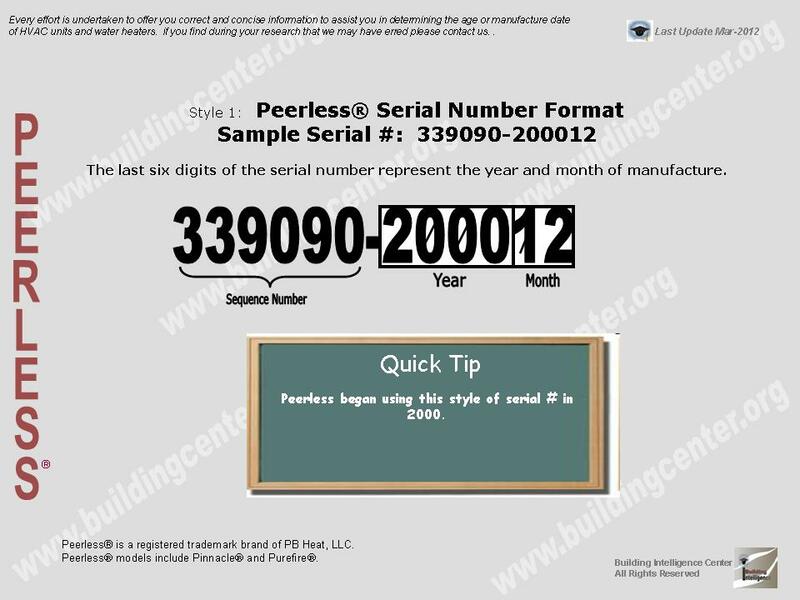 The last six digits of the serial number represent the year and month of manufacture. 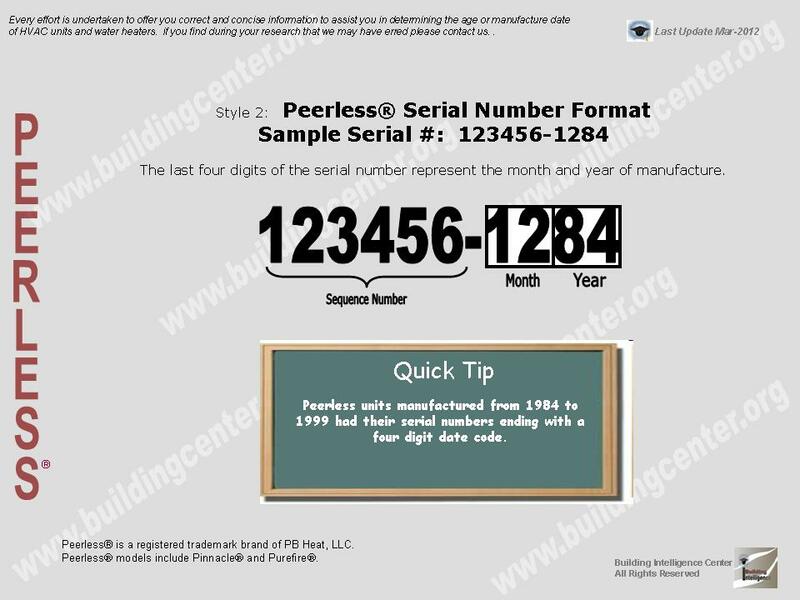 The last four digits of the serial number represent the month and year of manufacture. Must contact Peerless to determine the age. These units were made prior to 1984. Also see our Tips & Tricks page to learn other possible ways of determining the date of manufacture.